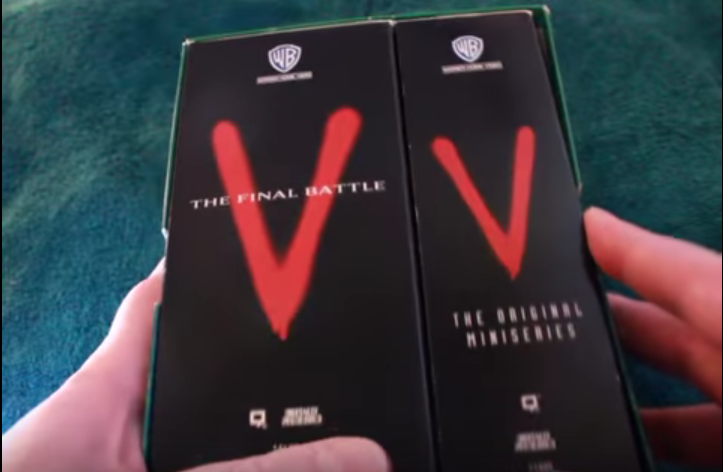 V The Complete Series (1984) Boxed VHS set! Starring Robert Enguland, who also played Freddie from the “A Nightmare on Elm Street” movies! (This series came out just before Nightmare, I believe.) V was budgeted at 1 million dollars per episode, making it the most expensive TV series at the time.